Bacon - How Healthy Is It? Consumers these days are in a non-fat mode. As a result, pork is about fifty percent leaner today than it was 30 years ago. A three-ounce portion of lean pork is only about 200 calories. For those on low-cholesterol and/or low-fat diets, there are turkey, chicken and even vegetarian bacon products available. For those on high-protein, low-carbohydrate diets, bacon makes a great snack when fried up crispy. It supplies that crunch that is often missed on these diets, while most of the fat is rendered out. A standard cooked slice of bacon contains about 30 to 40 calories per slice, and even less if you cook it slowly until very crisp and drain well on paper towels. You can cook it in advance and store in a zip-top bag in the refrigerator. To reheat, simply roll in a paper towel (which will soak up even more of the fat) and pop into the microwave for about 30 to 45 seconds. When cooking bacon, do not cook at high temperatures for long periods of time. High heat can turn the nitrite curing agents into nitrosamine. Bacon cooked in the microwave contains fewer nitrosamines. (Read the synopsis) Nitrates are used to not only preserve color but also as a preservative agent to retard rancidity in the fat and kill botulism bacteria. Nitrites have been the subject of controversy as a potential cancer-causing agent in some animal experiments. Results are as yet inconclusive. 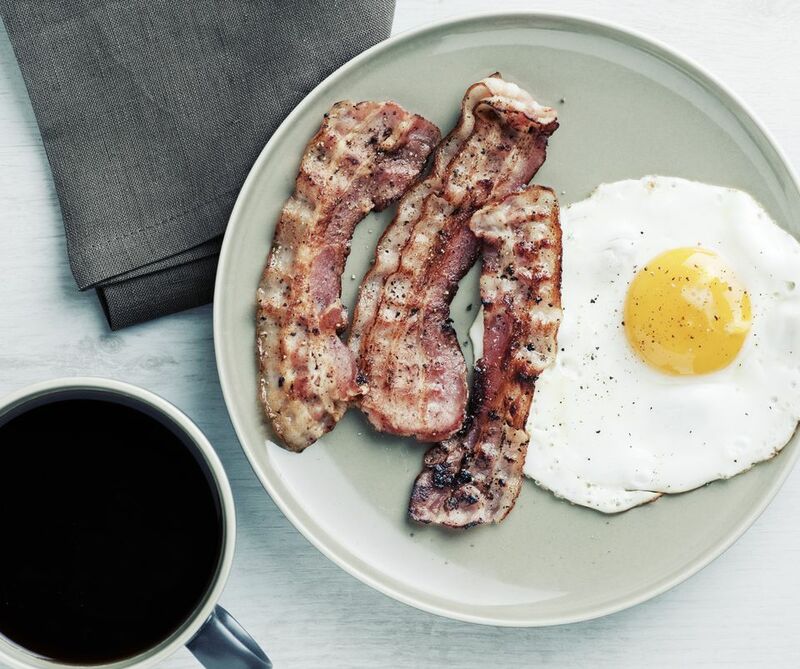 There are nitrate-free bacon products on the market. Check labels. How Long Does Buttermilk Last Before Spoiling?